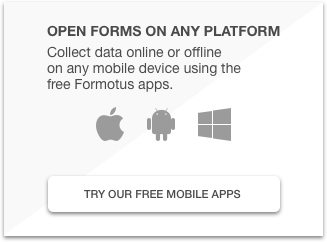 Formotus offers two different client apps for form filling on Android, depending on your business needs. Both run the same forms and are free for the mobile user. Download now and try out some sample forms. 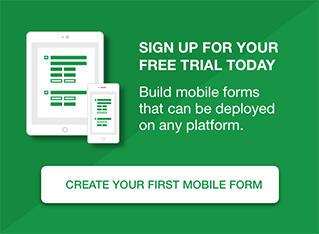 If you like what you see, then get a free trial account to create your own custom Android forms. Our customers create and deploy Formotus forms on Android for a wide variety of scenarios: construction forms, building inspections, punch lists, work orders, change orders, service dispatch, material and equipment logs, job safety analysis, risk assessment matrix, daily job reports, job routing, delivery tickets, service requests, security audits, incident reports, merchandising, quality control, healthcare forms, sales forms, and the list goes on. The Formotus Now app is suitable for a wide variety of Android mobile form scenarios including: employee surveys, customer surveys, checklists, service requests, helpdesk, HR forms, expense reports, timesheets, vacation requests, confidentiality NDA forms, tax forms, I-9 forms, W-4 forms, healthcare forms, patient registration, health history, treatment forms, release forms, HIPAA privacy forms, research studies, clinical trials, lead capture, and the list goes on.